If you don’t already, please follow us on twitter and like us on facebook! What areas of Colorado / Type of Property do you specialize in? I specialize in the Foothills of Denver – Evergreen, Conifer, Pine, Bailey, Morrison, Genesee – I-70 and the 285 corridor. I have earned the ABR (Accredited Buyer Representative designation and the CMAS (Certified Mountain Area Specialist) and feel very strongly that if you’re looking to buy and/or sell in the Mountains, you should use a Mountain Specialist. We know the questions to ask. I’ve used RealFast, QES, Metrolist’s Instanet and tried CTM econtracts before finding Bull Forms. I’m not changing again – love this product! I decided to go with electronic contracts when I was in a situation where we had to get an inspection notice and Amend/Extend delivered and I had another appointment looming. I had to rush home, boot up my computer, quickly write the documents, email them to my client who had to print them out, scan them in page by page, email them back to me to deliver to the agent on time. Bull Forms is so easy! I can access it on my Droid phone, my Tablet and any computer when I’m with clients. Clients love it, the learning curve is fast and fun. Love that I can write as much as I need to, that my clients name can be (almost) as long as it needs to be. (Don’t know why i work with so many Trusts and Estates??). Compared to CTM the learning curve is quick and easy and I’m always learning new features. Signing is a dream and I like that I can decide where and when I want initials and/or signatures. My company has it’s own econtract system and I’m trying to learn it, but it is so not as easy as Bull Forms. I like that I can add my own documents. What issues have you had using BULL Forms? 1. Would like the Seller’s Property Disclosure be an open form where clients can check their own boxes. I am not allowed to fill this out or help them with it, so I have to go back to the old system and make them fill it out by hand and get it back to me. BULL Forms Comment: We are in the process of adding this functionality. Hopefully it will be launched within the next few weeks! 2. I’ve experienced difficulty with scanning a document in and the file is too large with my scanner at home, so I’ve had to go to the office to scan it. Sure this is my fault, I’ll figure it out. 3. For some reason, the auto populate still isn’t working right with my contact information (office, name, phone, etc). I have to really check each form-switching form views, and sometimes don’t realize that it’s been placed incorrectly before I get to signatures, then have to go back and correct it and start the signature process again. I would like my information visible on the Auto Populate form, so I can make sure it is correct. BULL Forms Comment: We apologize for this issue as it is unacceptable. We will do everything in our power to ensure this feature is working properly. I play the piano and accompany the high school group at our local theatre: StageDoor Theatre in Conifer. Currently we’re performing “Hello Dollly”. My sister-in-law is a graphic designer and very envious of me with these electronic contracts! She wants a easy application for her contracts! 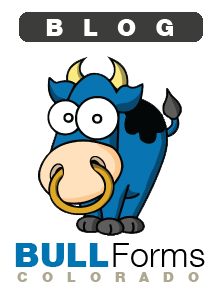 BULL Forms Comment: Just as an FYI, we launched our full featured e-signature solution here. We would like to thank Debra for taking time out of her busy schedule to chat with us. If you are interested in signing up, please do so here.